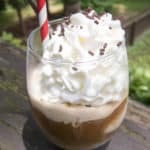 When I was an exchange student in Hamburg many years ago, my German host mom introduced me to one of my favorite summertime treats: Eiskaffee. 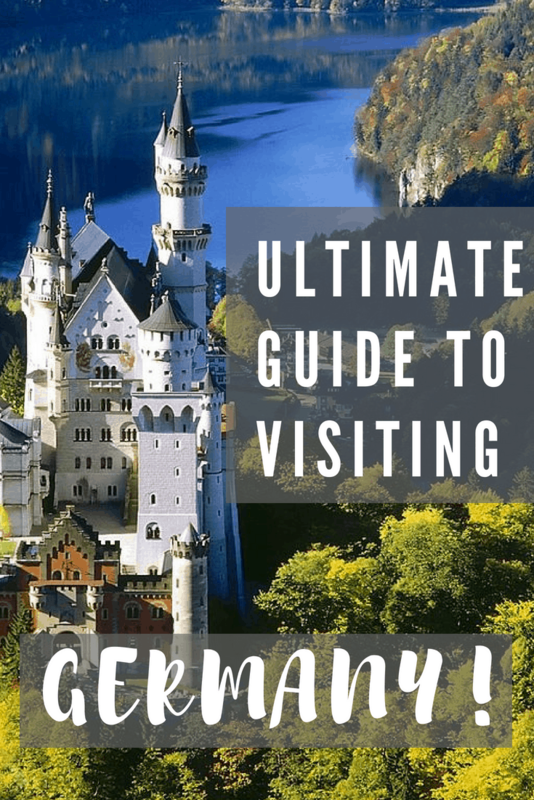 On the hot summer afternoons I was around the house she’d get this twinkle in her eye and ask me if I’d like a “calorie bomb.” Indeed, with a couple scoops of ice cream and a generous amount of whipped cream, German Eiskaffee is not a low calorie dessert. But it’s so good and worth every single calorie! I drink iced coffee with milk all summer long but on the afternoons when I want a treat, I make Eiskaffee. 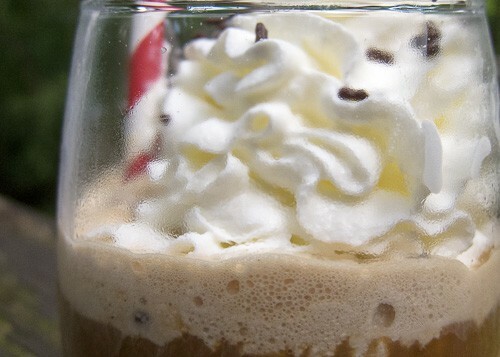 It’s kinda like a coffee float with vanilla ice cream, whipped cream, and chocolate sprinkles. It comes together in minutes and is a delight on a steamy summer day. 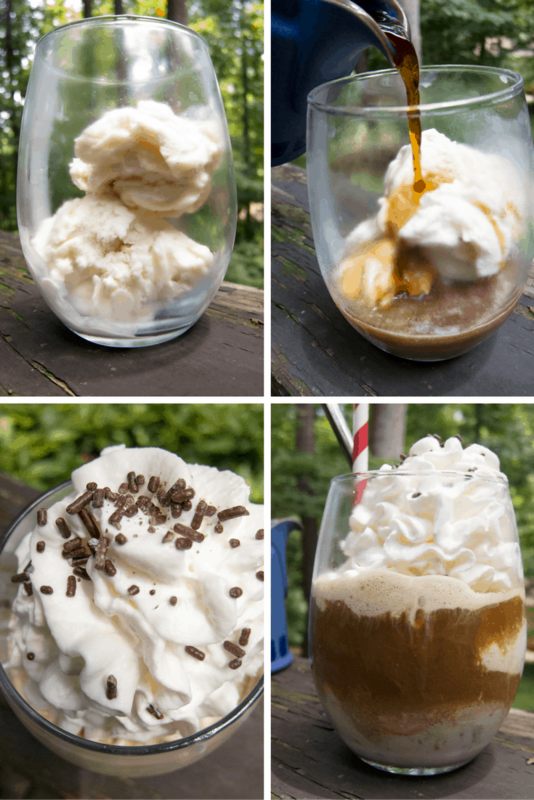 The ice cream gives the coffee a smooth and silky texture and sweetens it up just a bit. My host mom used to save the leftover morning coffee for the afternoon’s Eiskaffee, which I’ve also done, but you can use cold brew or chilled fresh coffee. In a pinch, I’ve even used one of those Starbuck’s Via packets (I used the regular coffee, not the instant iced coffee ones). Use your favorite coffee and brewing method, just make sure the coffee is cold. I recommend using a high quality vanilla bean ice cream and freshly whipped cream. Be sure to enjoy your Eiskaffee right after assembling it because even with cold coffee the ice cream will melt quickly. 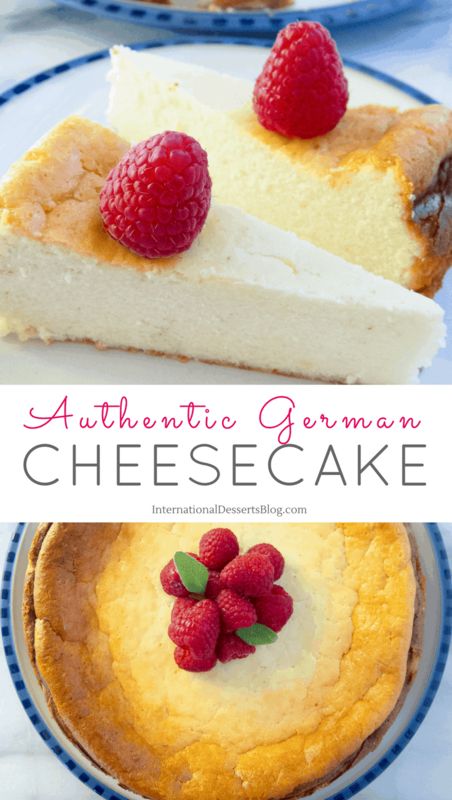 Serve it German-style with a long spoon and a straw. 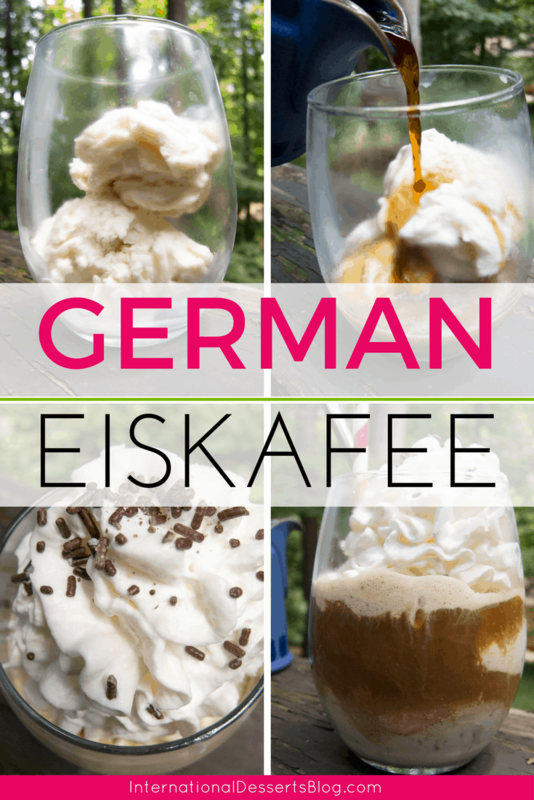 Eiskafee is something you’ll find at practically every German ice cream shop and cafe but for me it’s best when it’s homemade. When I made a glass of Eiskaffee I always drink it outside, just like I did with my German host mom. 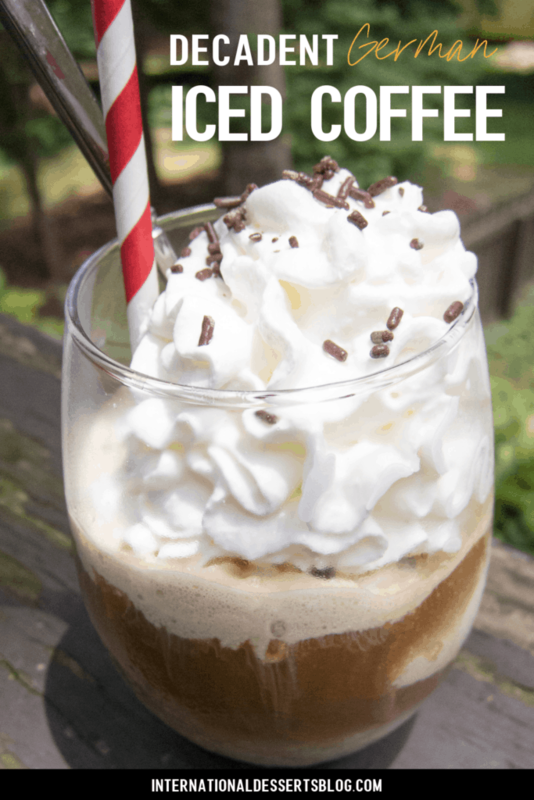 Simply the best iced coffee recipe! Brew coffee using your preferred method and then let it chill in the fridge until ice cold. Scoop 1-2 scoops of vanilla ice cream into each glass. 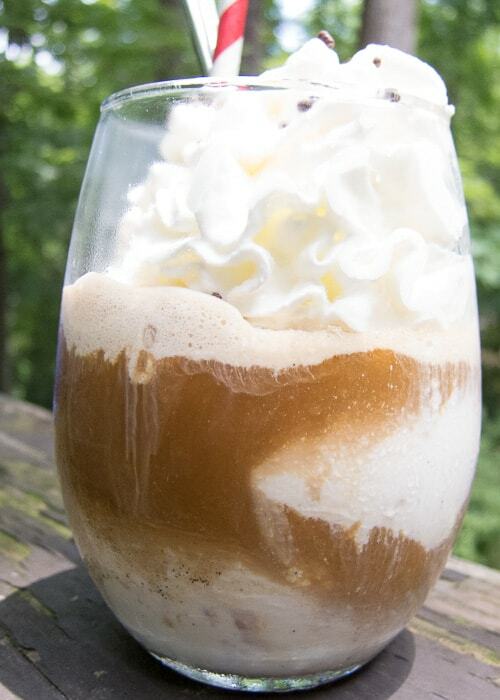 Pour cold coffee over ice cream until it fills 1/2 to 3/4 of the glass. I'm never exact with these measurements! 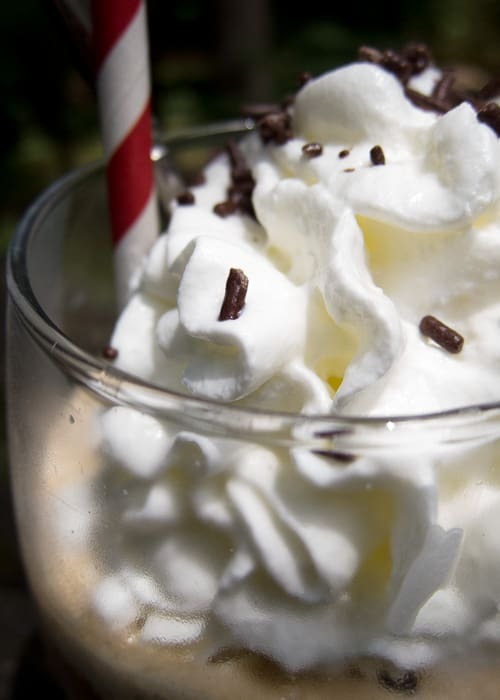 Add whipped cream and top with chocolate sprinkles. 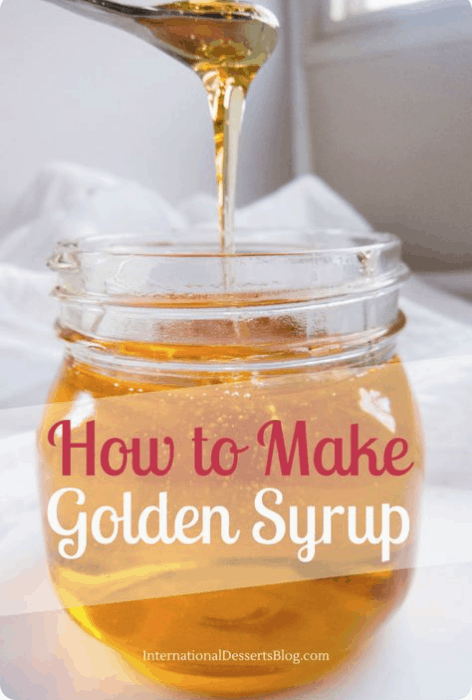 Serve immediately with a tall spoon and a straw. 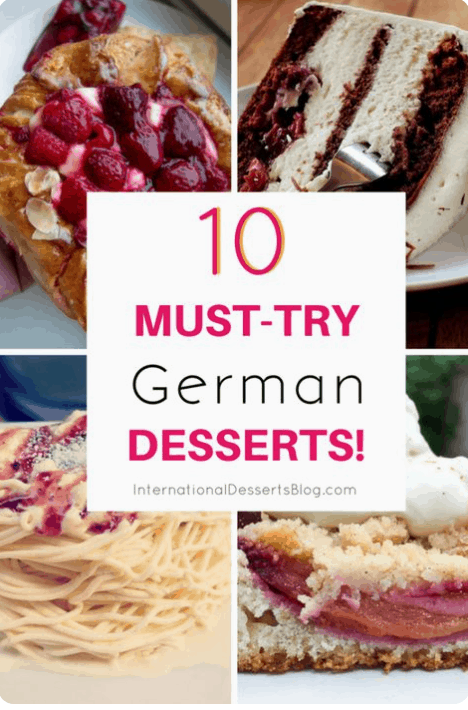 Click Here to See More German Recipes!